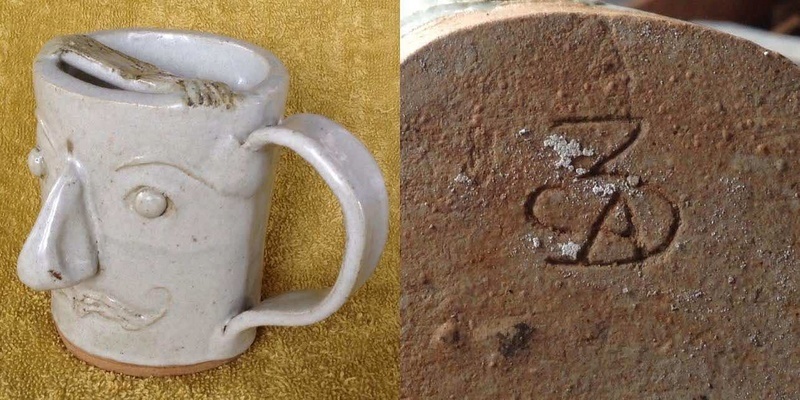 This mug is quite crudely formed from heavy slab with a discrete join at the handle line. Looks old in many ways. I cannot decipher the potter's mark, may be CA3. Is it New Zealand pottery? 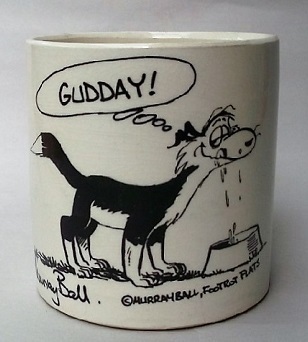 It has the biggest nose of all my face mugs, some of which see below. Here's another big nose. This one has white eyes. 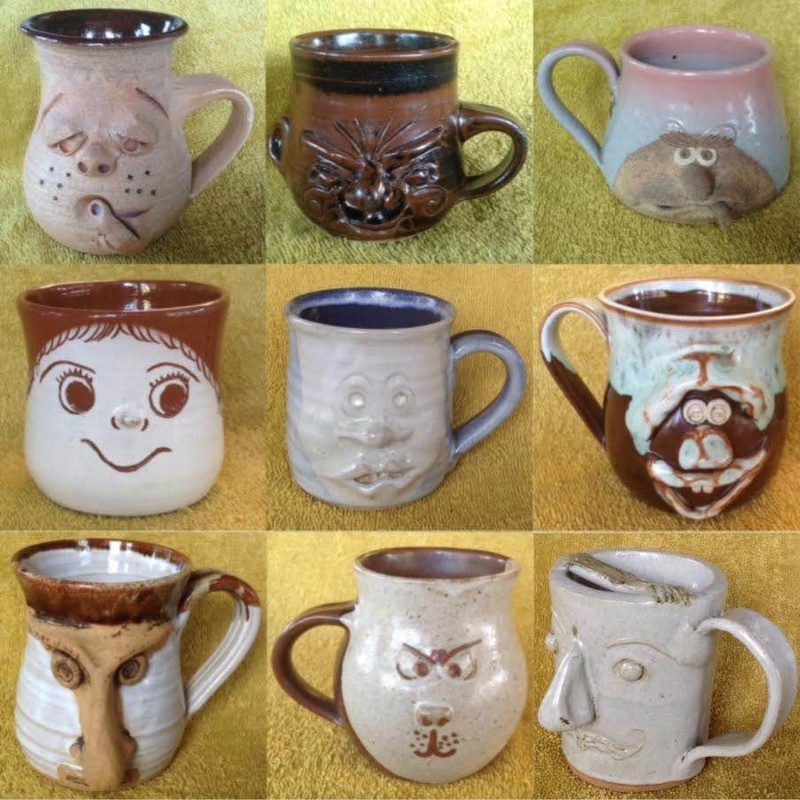 Some whiteye mugs on tm: http://www.trademe.co.nz/Browse/Listing.aspx?id=1187706684 Those are marked but I cannot read the marks.